Saturday we took the kids to OMSI, where learned lots of interesting things about the human body. Monday I found Ingrid had been sick sometime in the night and then went back to sleep. Awful. Today, her flu found me. Nate texted en route to dinner to tell me that they were heading home. Claire was sick in the truck. The ladies are down. 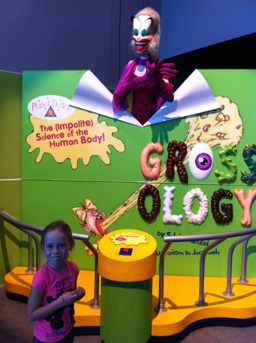 Grossology indeed.